I think by now, everyone in NYC or LA is pretty sick of hearing the no longer elusive Cronut. 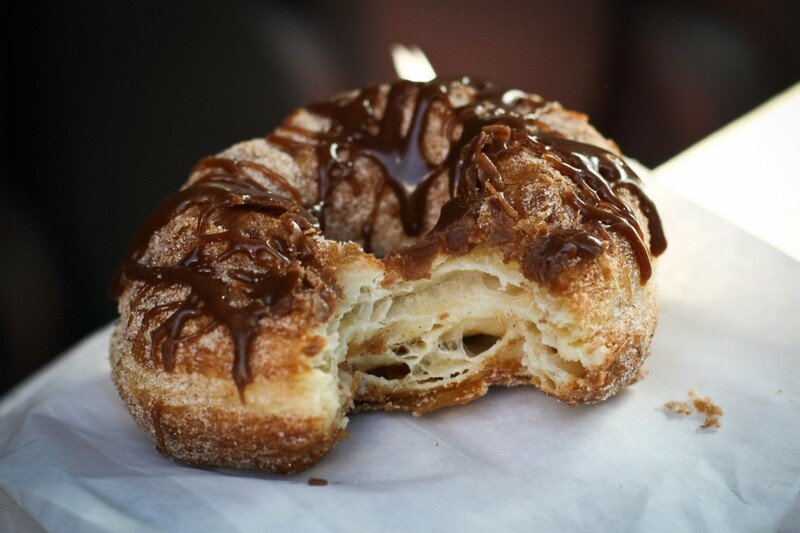 While I would never wait in line for these delicious pastry abominations, I certainly can’t deny that they sound pretty awesome and I have no issues with driving a few minutes to snag one of these babies. 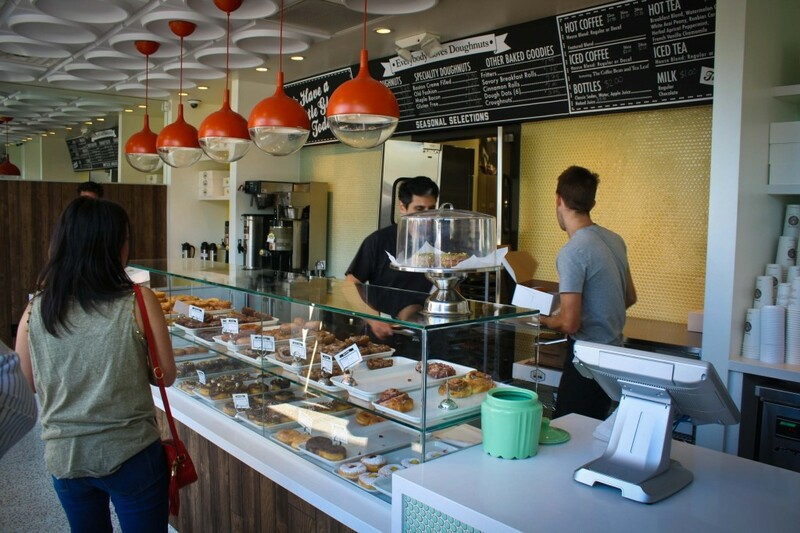 Kettle Glazed is a spanking new donut shop located in a strip mall in Hollywood. You’ll probably drive by it a few times and get really annoyed with yourself. 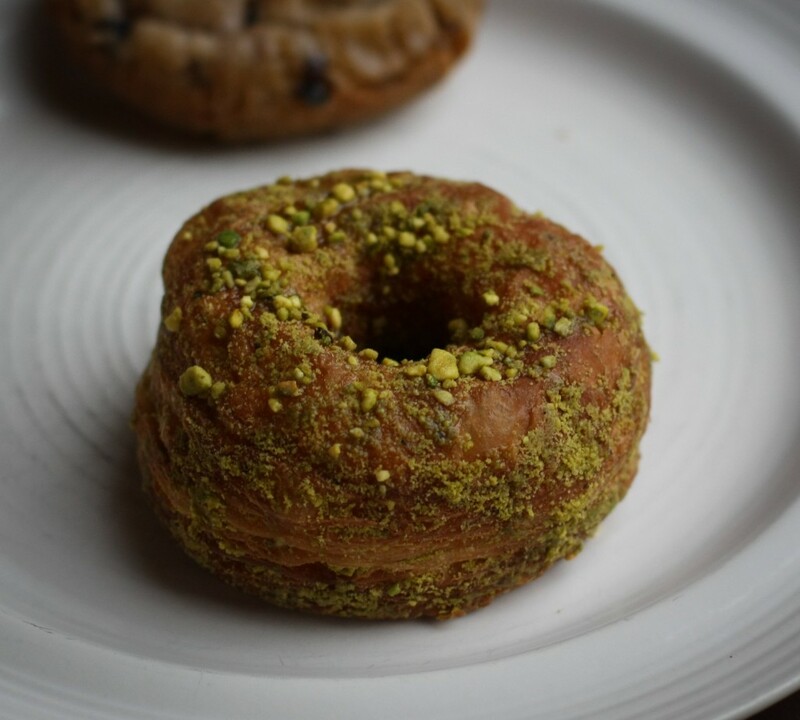 I’ve only had one cronut before this, which was drenched in sugary syrup, which reminded me more of baklava. This one was more light and airy and featuring a thin layer of much appreciated cream. 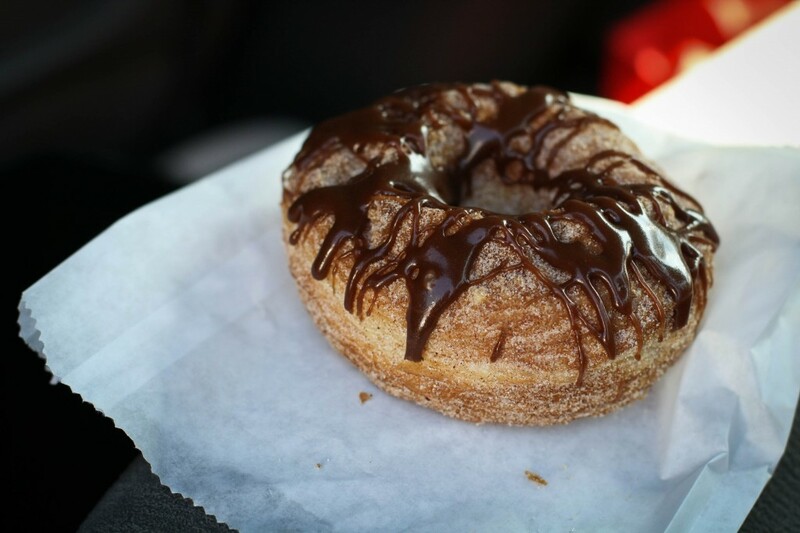 It was really good but about double the cost of their regular donuts. 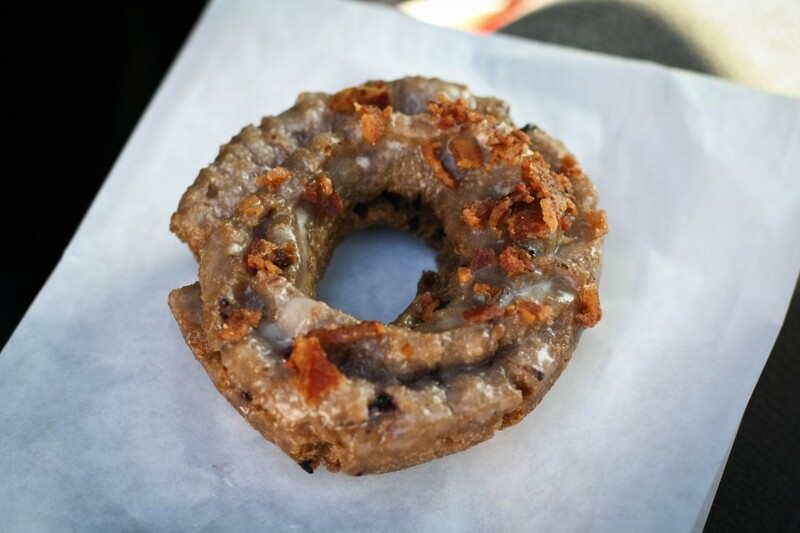 They also feature a bevy of old fashioned donuts (my favorite) including the super tasty Blueberry with Maple Glaze and Bacon. Tastes like breakfast!